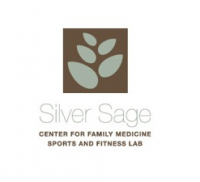 The medical professionals at Silver Sage have unveiled a new name — Silver Sage Sports & Fitness Lab — for the athletic side of the practice. “Our goal is help anyone with their athletic goals, whether they’re running their first race or they’re a seasoned veteran,” added Andy Pasternak, M.D. While the Silver Sage Center for Family Medicine has maintained its name, both divisions have new logos, which were designed by the Estipona Group. The Estipona Group also will be assisting with the practice’s ongoing strategic communications efforts. Additionally, Silver Sage has introduced a new website, designed by Nancy Rosenblum of digitalnordic, to make it easier for patients to find the answers they’re seeking. The new site is completely responsive, which means mobile devices can easily access it. Silver Sage Sports & Fitness Lab provides integrated physiologic testing, biomechanical and coaching services to help athletes of all abilities and interests maximize their training time and achieve results. Silver Sage Center for Family Medicine provides high quality health care for the entire family, treating the entire spectrum of medical conditions ranging from simple ear and sinus infections to more complex problems like heart disease and cancer. For more information, visit www.silversagecenter.com.